Preparing for Singapore Aquathlon | JustRunLah! 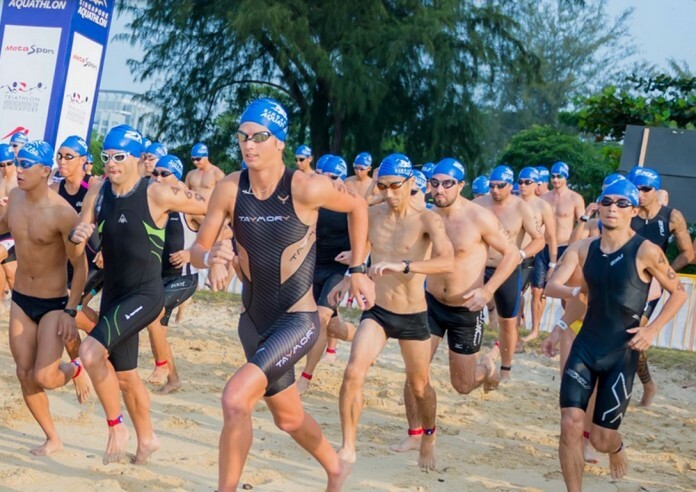 For people who are keen to take-up a multi-sport event, it would be good to give the Singapore Aquathlon as a try! Available in the Junior, Sprint and Standard distance, you can join the category you are comfortable with. For first-timers, I will always recommend you to start small, go for the junior distance first. Have a feel, then slowly progress further on to take longer distances. 1. Your body needs to adjust quickly the moment you come out of the water and prepare for your run. Your legs will feel ‘jelly’ the moment your step out of the water and begin to run into transition. 2. At a start, you will feel uncomfortable as your body will feel heavy as your clothes and hair are wet. (Especially for girls with long hair. I remembered many years back when I first did a Biathlon, I was having a headache while running because my hair was just so wet and heavy). 3. You will have trouble putting on your socks (if you do wear them) for Aquathlon. 4. Salt water! If you are not used to swimming open water, the salt water is something that will make you uncomfortable. Hence, one trick i always use do is to leave a bottle of drinking water at the transition. So the first thing I do when I reach transition is to gurgle my mouth with the water, spit it out by the side and drink a few small mouth while I slip on my shoes. Viola! But nonetheless, the Aquathlon is a race you should try if you are considering to take part in a Triathlon. It will give you somewhat a basic feel of how a Triathlon is like. 1. Pack light and small. The transition for an Aquathlon is usually quite small. Oh, do bring a bright coloured towel or something you can recognise easily as there will probably be lots of shoes and stuff around. 2. Arrive early. Do arrive approximately 60-90mins before your wave flag off. You need time to set up your transition, body marking and warm-up. 3. Transition. Depending on the distance, I may or may not wear socks. But if you do, lay your shoes first, then put your socks on top of your shoes. This is the typical layering method I do from bottom to top. 4. Have a small bottle of water for you to rinse your googles before you start your swim. It might probably get foggy after your swim practice. Do a quick rinse when you are in the start pen, and leave the bottle by the side before your move off. P.s. I am not a elite or fast athlete -just an average age-grouper. For more information / registration visit the Singapore Aquathlon website. JustRunLah! is the Official Running Portal for Singapore Aquathlon 2015. 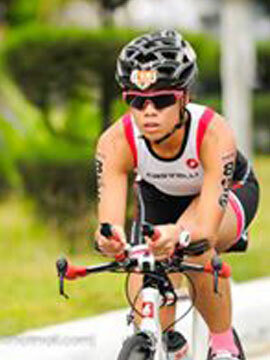 Ginni has been given a complimentary entry to Singapore Aquathlon sponsored by MetaSport. Photo credits: Singapore Aquathlon website.